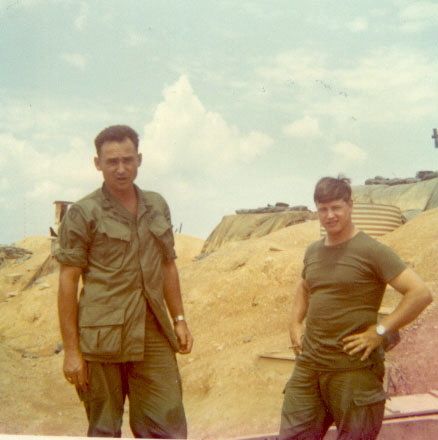 It was in late January or early February 1971, when SFC Smigliani joined the 2nd Platoon. He was the replacement for SGT Rolland Christensen, who was the previous acting platoon sergeant. We were out working west of Camp Evans; in the summer heat, patrolling and laying ambush’s along the Ho Chi Minh trail. I still remember the day that Dom stepped off of the Huey, with his dark curly hair and a smile on his face, standing tall and confident as he began his 3rd tour in Viet Nam. 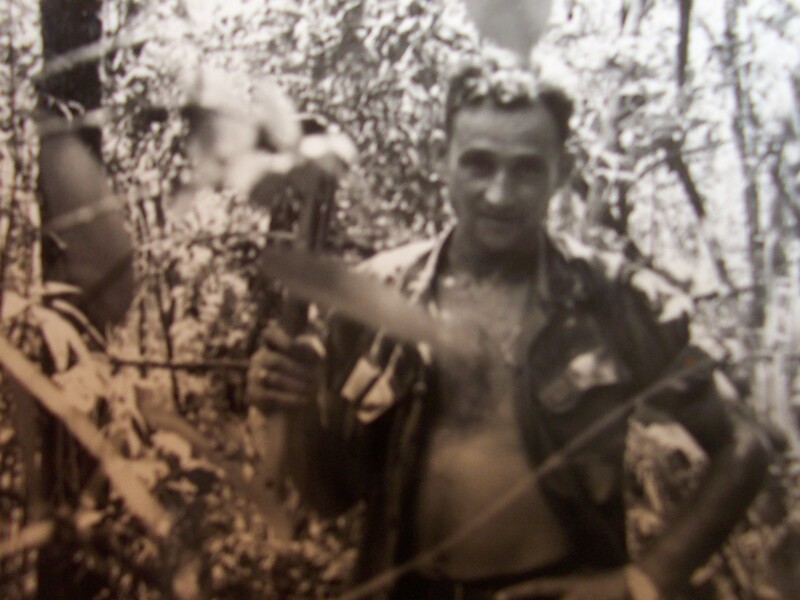 It was immediately apparent that he knew his way around the jungle and quickly earned the respect as a veteran among the troops. Always level headed and devoted to the goals of the unit. 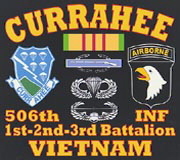 He was very proud to be an “American Soldier”, and even more proud to be a “Currahee” with the 2nd Bn/506th Airmobile Infantry Regiment of the 101st Airborne. He knew of the unit’s long heritage. SFC Smigliani became a close friend quickly with all of us grunts in the field. It was evident that he took great pride in his men and his unit. It is hard to find the right words to describe Smig. He could give you an order and it didn’t seem to be a command, but rather a straight-forward direction. As time went by; mission after mission, we endured trials and suffered loss of our brothers. Dom grew even closer and lifted us all through the tough times. He continued to give us the strength to face the next valley or encourage us to endure the climb to the next mountain ridge, teaching us to be confident and strong. The harder times were; the more like a father he became to many of us young men. After all, he was 38 years old and we were all barely 20 at the time. SFC Domenic Smigliani served as Platoon Sergeant and later when 2nd Platoon had no officer was designated the position of the Platoon Leader. 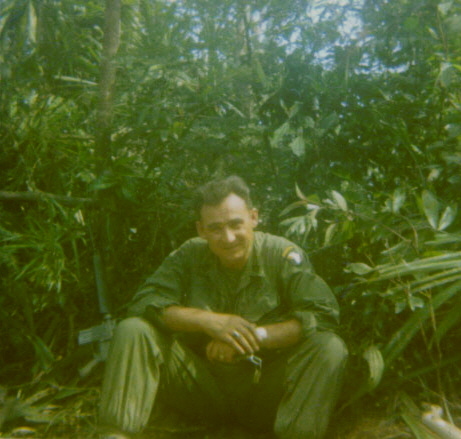 He was serving as the Platoon Leader on July 27, 1971 when on a routine recon patrol, worrying about his men and their need for a re-supply, chose to join in the recon patrol to locate a re-supply point for the next morning. At the edge of the mountains we moved into a lowland area full of elephant grass, worn trails, and clear signs of enemy activity. This was very uncomfortable setting for a jungle mountain platoon. With that fatefull decision on that late afternoon patrol God would remove a wonderful man from this world. He is so missed by those who loved him as our surrogate father in a war-worn desolate land. The word that still haunts me today is the word “if”. What if we….? What if I..…? What if he….? Twenty-seven years later, I became friends with Ingrid. I would speak with her from time to time throughout the years. And I also had the opportunity to speak with his son John a couple of times. Ingrid never remarried, her love for Domenic continued an additional 36 years until her death in April 2007. It has been years since I have talked to John, I hope someday we will meet again. Another family friendship continues with Marco Smigliani, who is the nephew of Domenic. Marco accompanied COL Bob Seitz and I to Arlington National Cemetery, where together, we laid a wreath in his uncle’s (Domenic Smigliani) memory at the 101st Airborne Memorial. As long as one of us who served with Domenic Smigliani lives, we will keep the memory of our dear friend alive. Marco Polo Smigliani - Dom's Nephew 609-926-7402 and welcomes calls about his uncle. 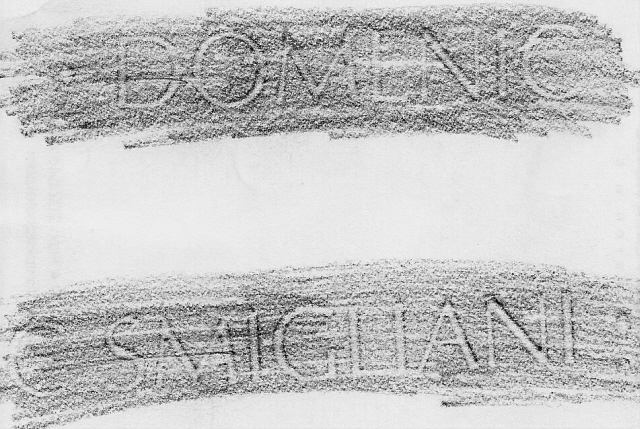 This is a translation of the original newspaper article from Poggiofiorito Italy; Domenico Smigliani's hometown. 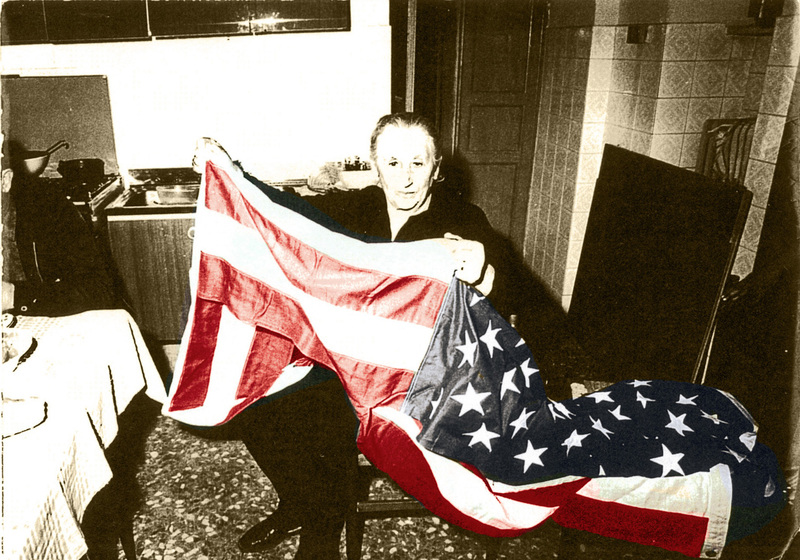 This article was presented by his (Domenic's) nephew Marco Smigliani, translated by W.R. Marisa. Headline: Local emigrant from Poggiofiorito dies in combat in Vietnam. 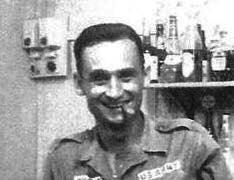 A telephone message like a bolt of lightning from the blue announced the death of a countryman Domenico Smigliani, which occurred on the 27th of July 1971 in Vietnam. Great was the grief of the family and of all those who knew him and loved him. Close friends were stunned and they almost refused to believe the sad news, still hoping that it was not true and they waited anxiously for a faint hint of hope that it was not so; they telephoned America and they received instead a confirmation of the death. 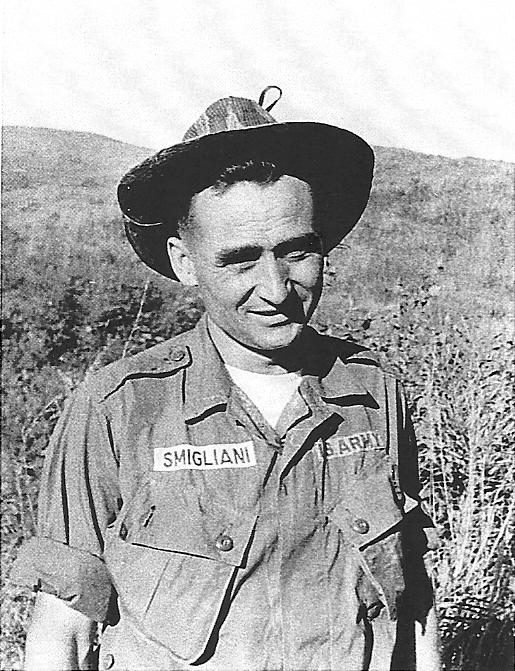 Domenico Smigliani was remembered by all as Domenicone in admiration for his impressive stature died in combat in Viet Nam fighting in the U. S. Army. The news was brought by an American officer from the North Atlantic Treaty Organization (N.A.T.O.) located in Vicenza and sent to Poggiofiorito to comply with his sad duty. The following all left immediately for the United States to say their last farewell to their dear deceased. The mother, lady Emilia Finocchio, the nephew Marco Smigliani son of Attilio, he too just back from Vietnam, a volunteer with the U. S. Marines; honorably discharged was then on a brief vacation in Italy, the other nephew Marco Smigliani, son of Antonio, a university student resident of Poggiofiorito. Domenico Smigliani was born in Poggiofiorito on 30 April, 1933. After elementary school he was graduated from the Technical Institute of Lanciano as an Accountant in 1956. Following in the footsteps of his father he emigrated to the United States in search of that fortune which seemed to smile at the emigrants who hope to fine in distant lands. Along with the well-being and the economic tranquility that they were not always able to have in the fatherland. In 1957 he was called to serve in the military of the U. S. and he finished that tour, enthusiastic about the army life and he remained. From 1958 to 1961 he served in Germany with the American section of N.A.T.O. and there he met the fascinating Ingrid Marga Zeller to whom he took a fancy and to whom he was married on the 20th of July 1961. In that happy marriage of the two young people a son Giani was born in 1962. 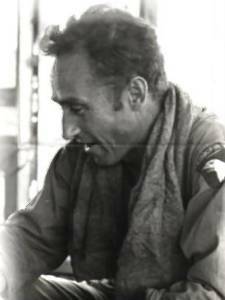 The family settled in a villa recently purchased in Augusta, Georgia where he (Domenico Smigliani) lived during his periods of military leave. In 1966 he left for his first tour of duty in Vietnam where he served for 13 months taking part in numerous battles. Now, there remains among family and friends only the memory of the beloved Domenicone, a happy young man, full of life and joviality. A man of imposing stature, sincere and ready to smile for all. For Ingrid, the memory of an affectionate husband, for his son Gianni (who perhaps of his young age did not completely understand the full meaning of the tragedy) only the memory of an heroic warrior in Vietnam. We can still see him smiling in a family portrait as if he is saying that this is the memory he wants to leave of himself. 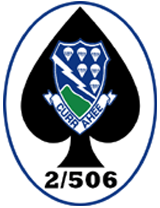 Sergeant Smigliani C/2/506 101st Airborne Division, was killed while on patrol; The IED was devastating and others were wounded, Domenic was the only person killed in this action. Domenic was perceived by all that served with him as not only a strong leader but by many a father figure. When the medivac helicopter refused to land on the on the hill; (because of fear there may be other IED devices) where he was surrounded by all those that admired and loved him as their platoon leader, a young soldier named Edwin (Charlie) Brown came forward. 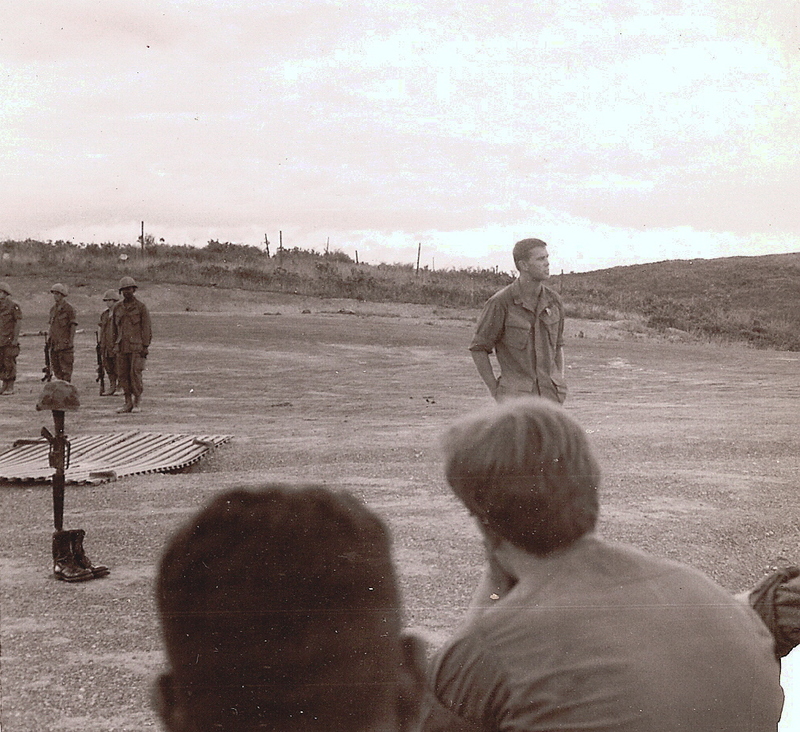 Charlie began to personally stomp down every blade of grass on that hilltop to prove it was save to land, so that his beloved platoon leader's body could honorably be removed, as he began this brave feat he was joined by all the men of the platoon. 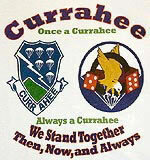 CURRAHEE!!! 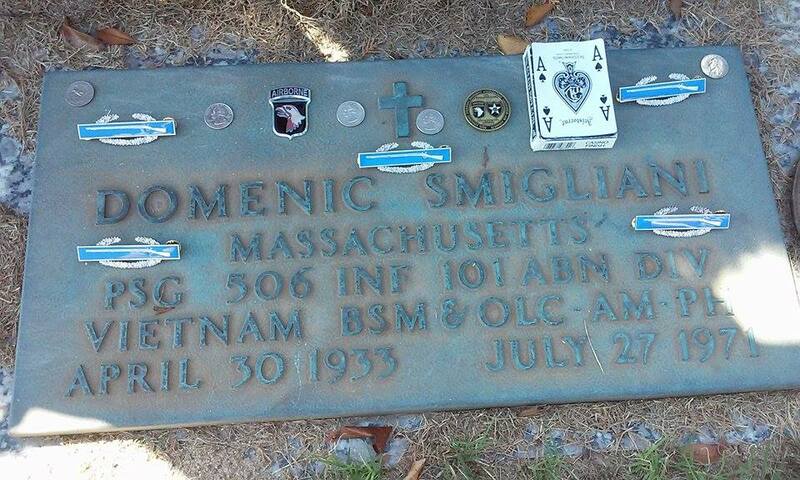 Sergeant First Class Domenic Smigliani will be always be admired and remembered by all that served with him. 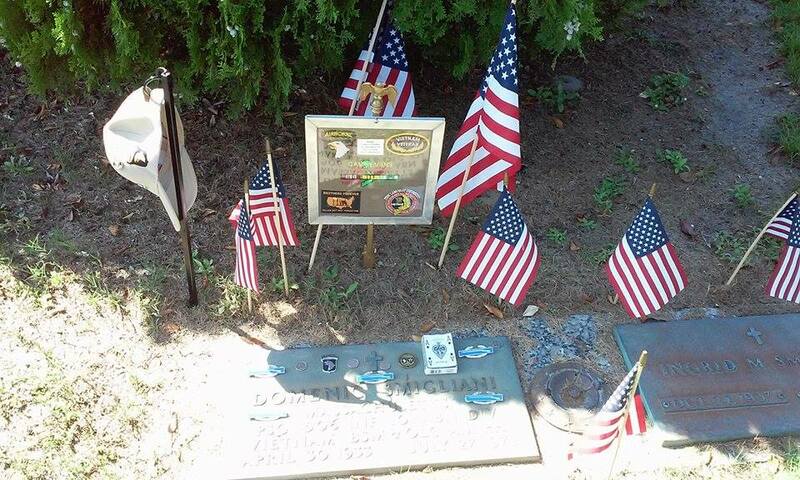 Please visit the Virtual Wall for a note from Domenic's son John. 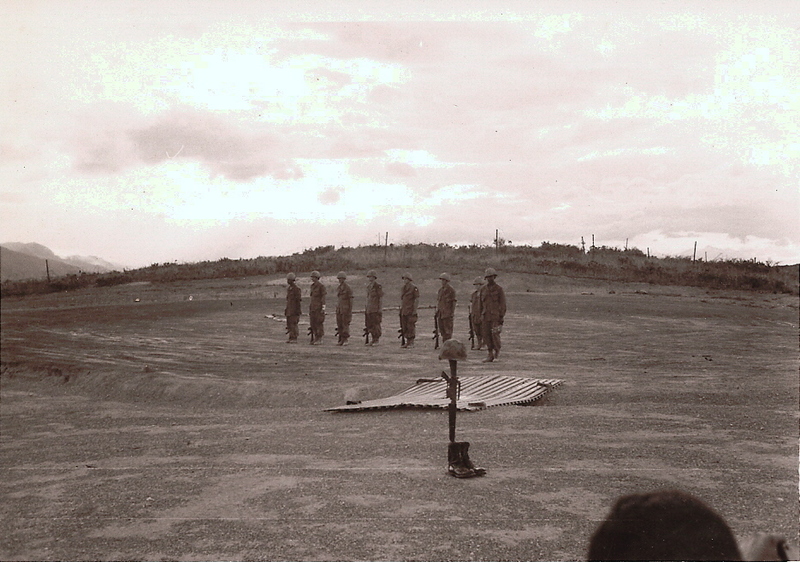 Memorial Service for Domenic Smigliani at Camp Evans, A "21 Gun Salute" (3 vollies by 7 riflemen) for a very special fallen currahee brother. Captain Bob Seitz gives the eulogy for Dom to his troops. 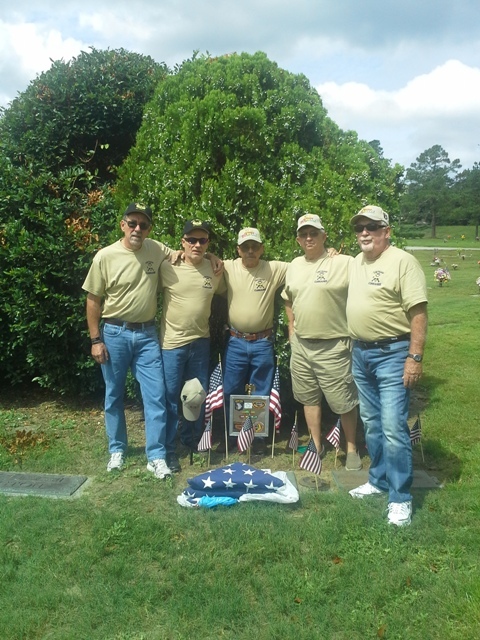 Dave Simonds, Frank Matsko, Glenn Shuman, Gary Gilliam, & Bob Lister made visit to Dom's Gravesite on 9/7/15. 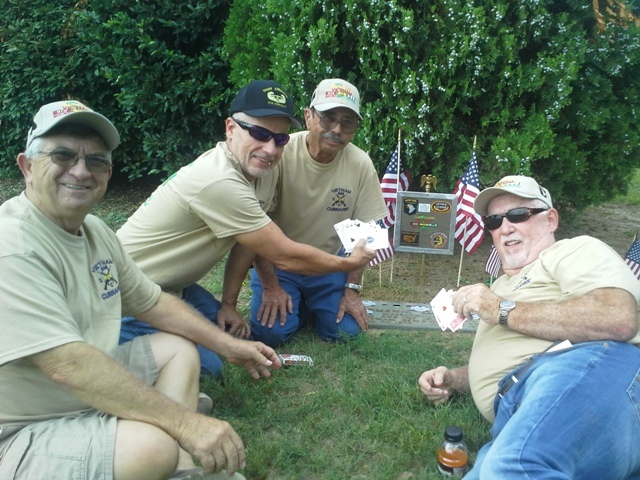 An additional few items to dress up Dom's Headstone, a Memorial Ceremony, and a game of Spades. Smig would have love it!